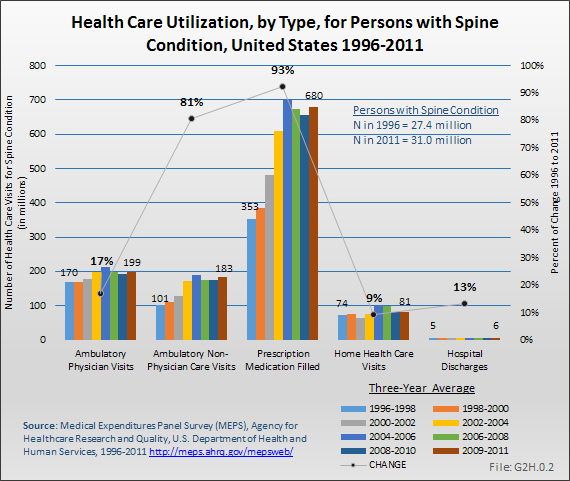 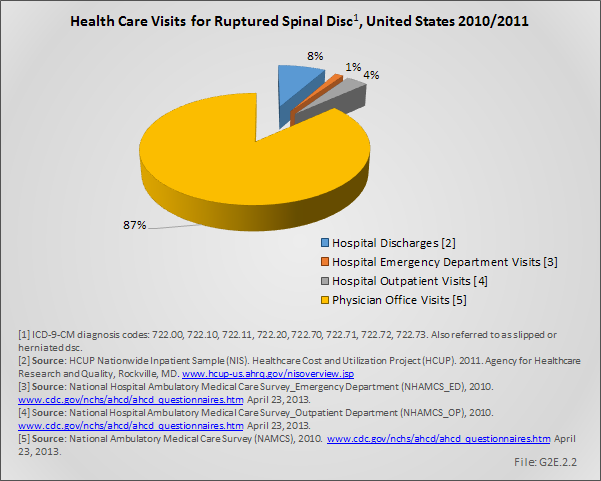 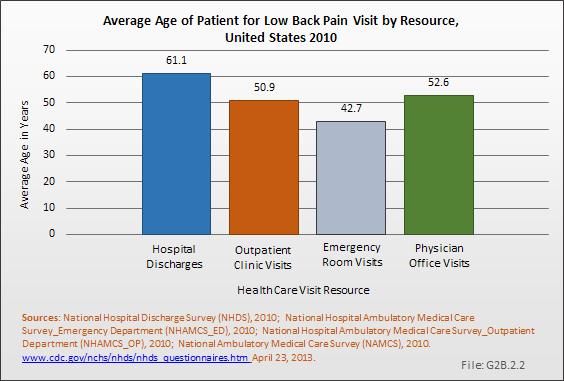 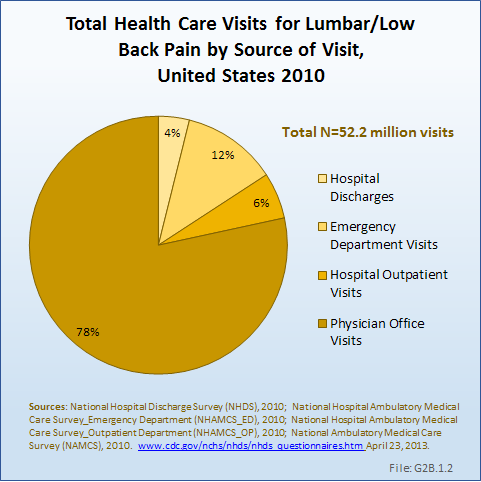 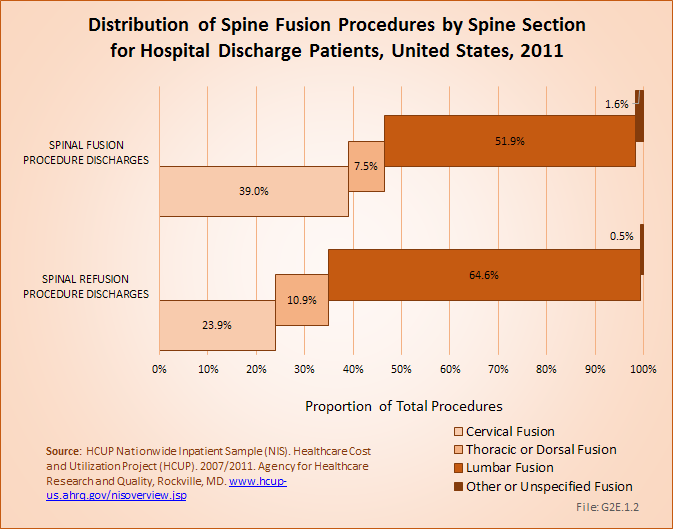 Health care visits for back disorders to doctors, emergency departments, outpatient clinics, and hospital discharges show a steady rise as the population ages up to 75 years. 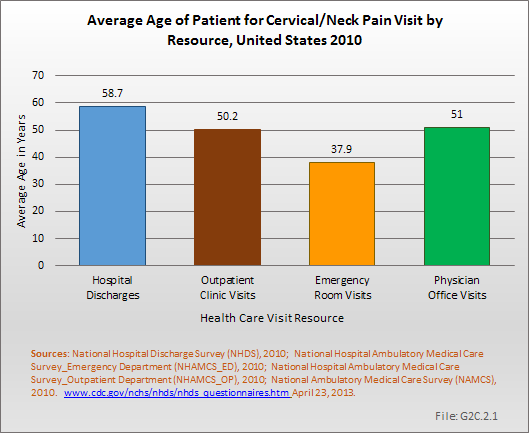 After that, it drops slightly. Older persons with back pain are more likely to be hospitalized that are younger persons, and to stay an average of 1 day longer than younger persons age 18 to 44 years. 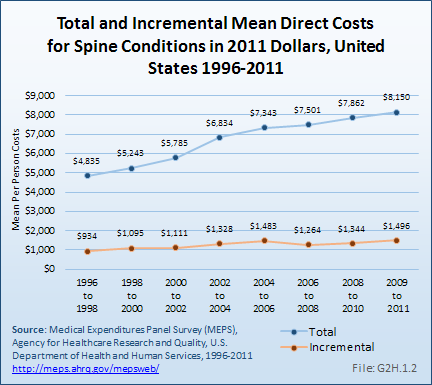 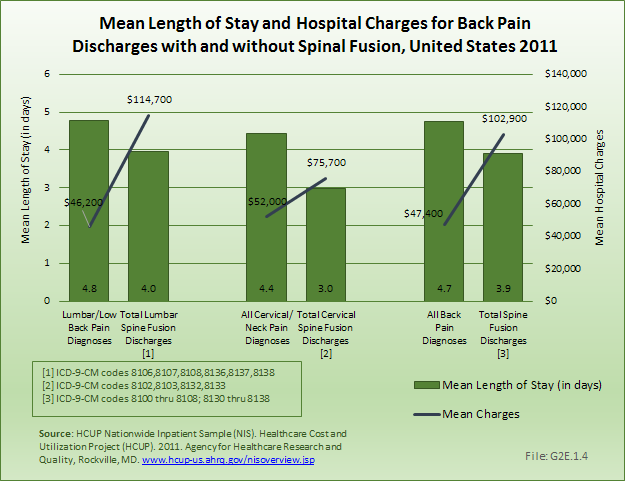 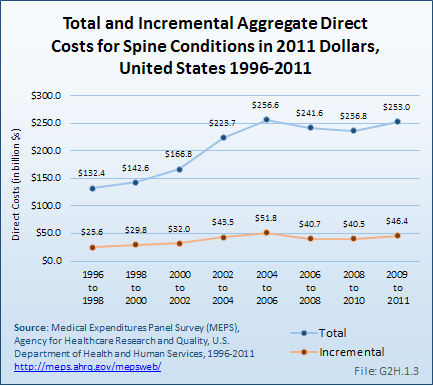 Average charges for hospital stays with a diagnosis of back pain also rise as age rises, again with a drop after age 75 years. 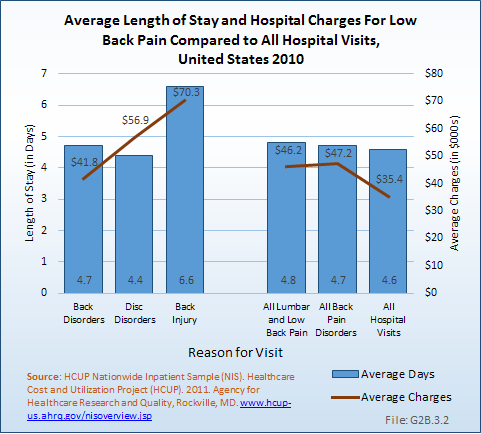 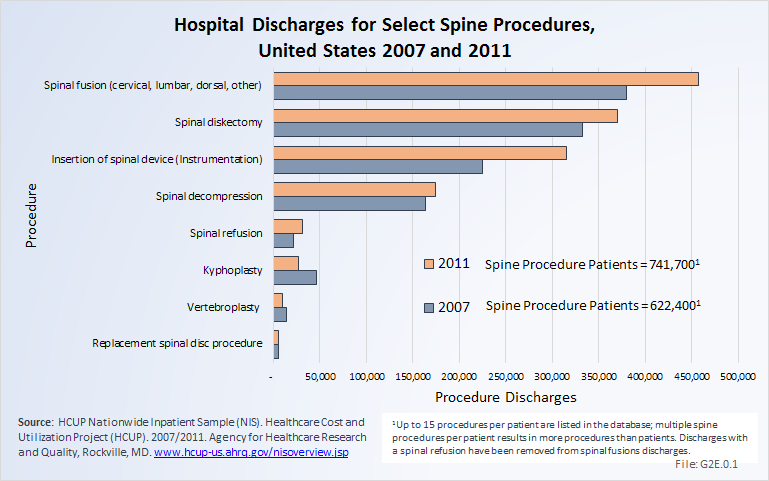 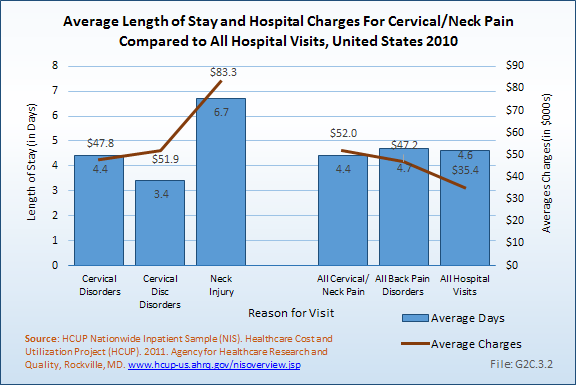 Mean hospital charges are an average of 133% those for all health care hospitalizations in 2011. 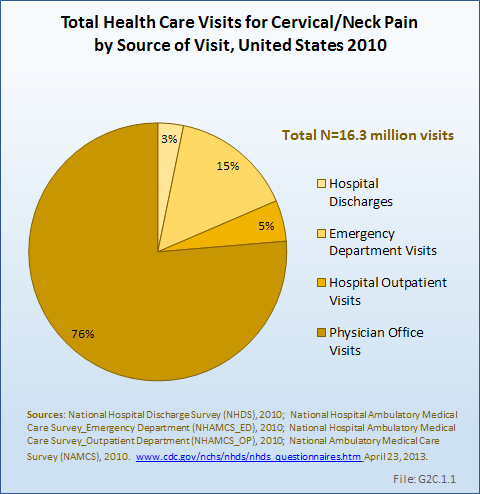 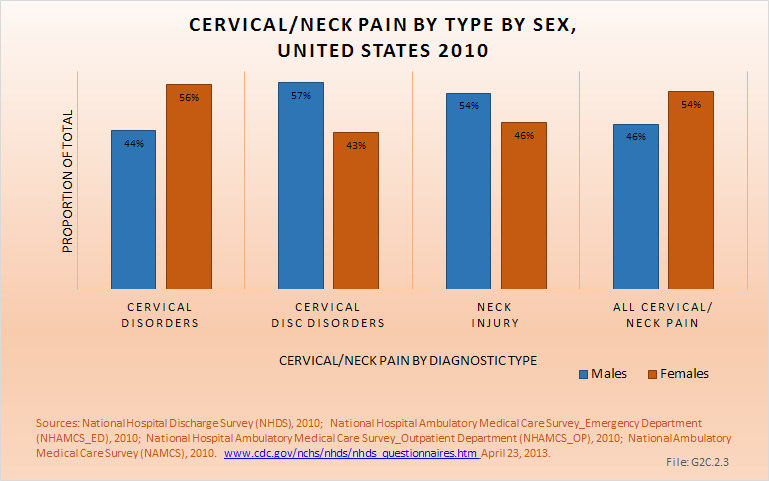 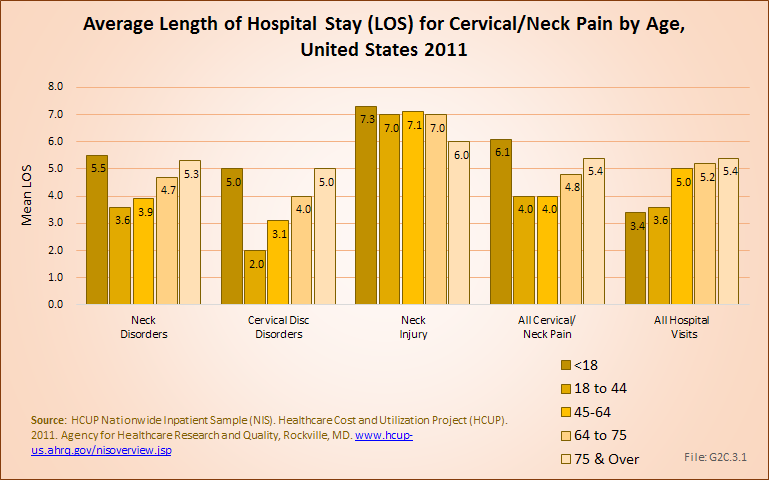 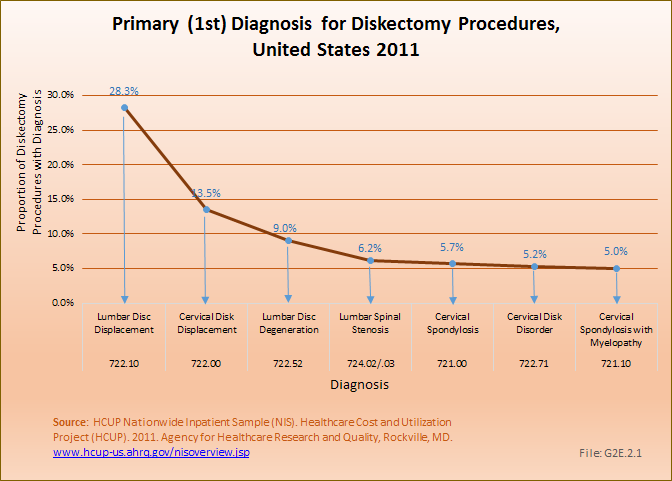 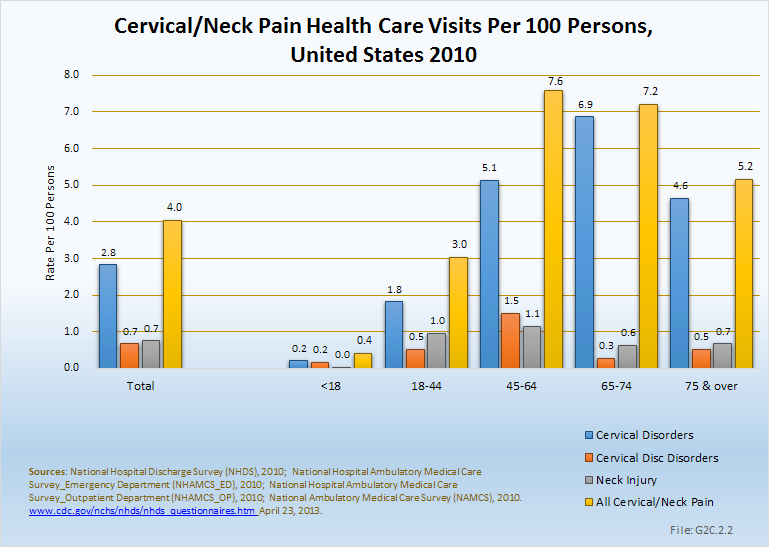 (Reference Table 2.9.2 PDF CSV) While the prevalence of neck disorders is significantly lower, aging again has a large impact on the number of health care visits for neck pain. 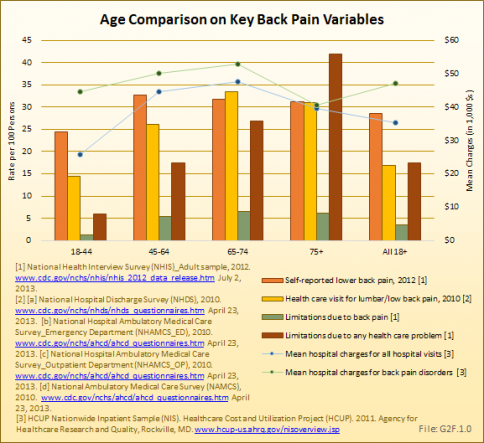 Back pain is a major health concern to older people. 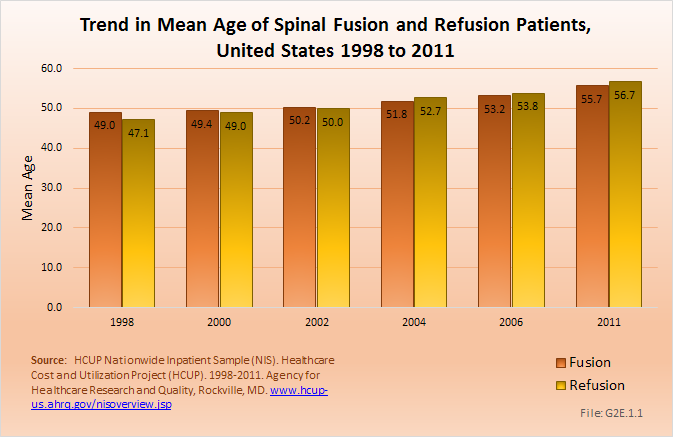 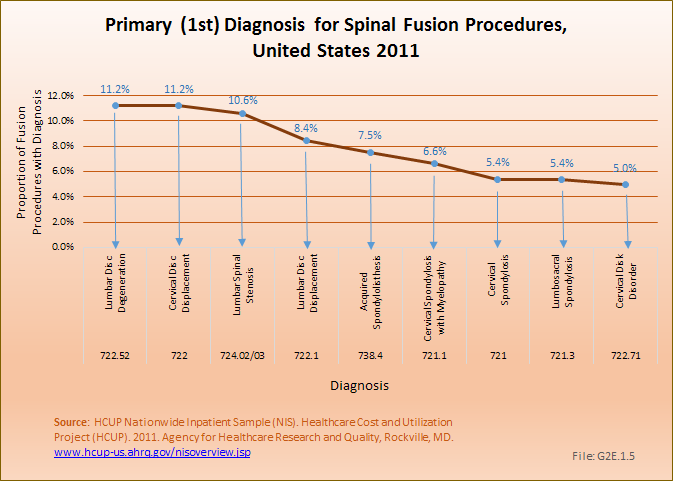 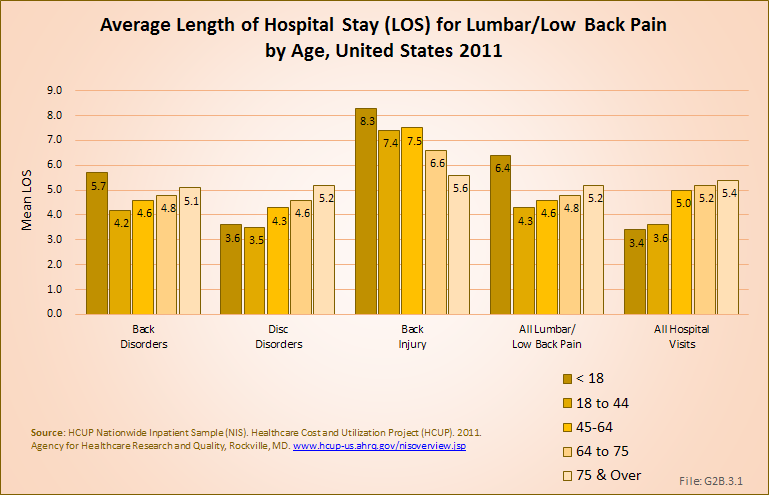 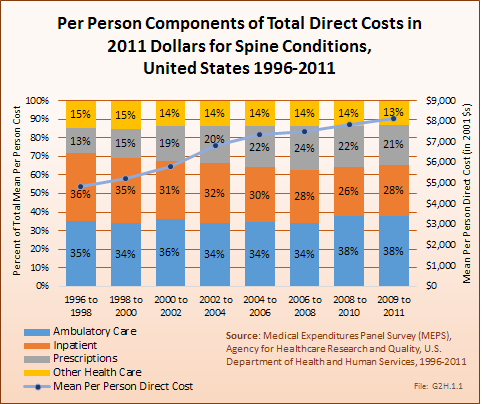 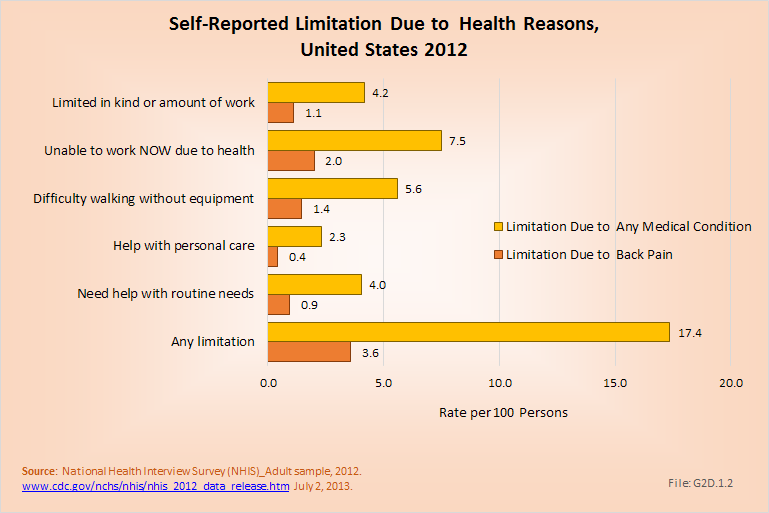 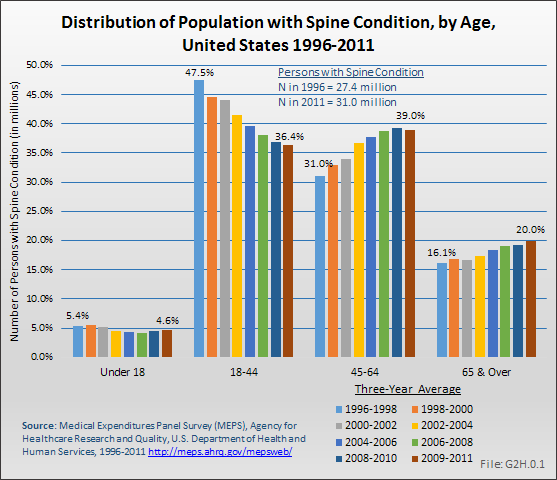 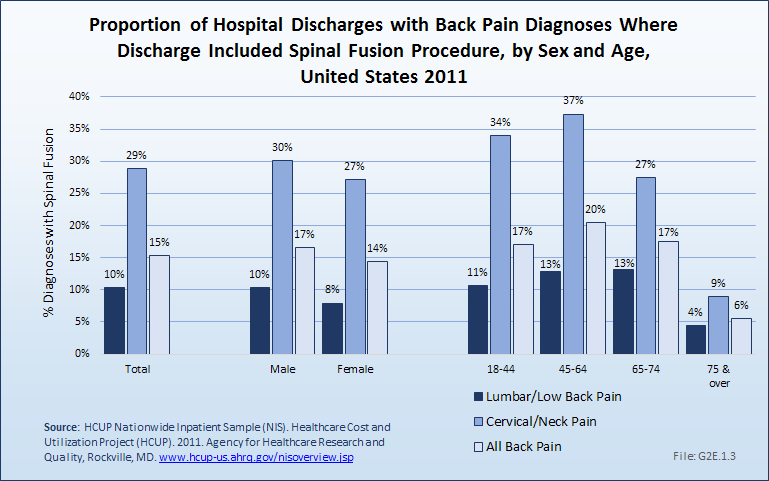 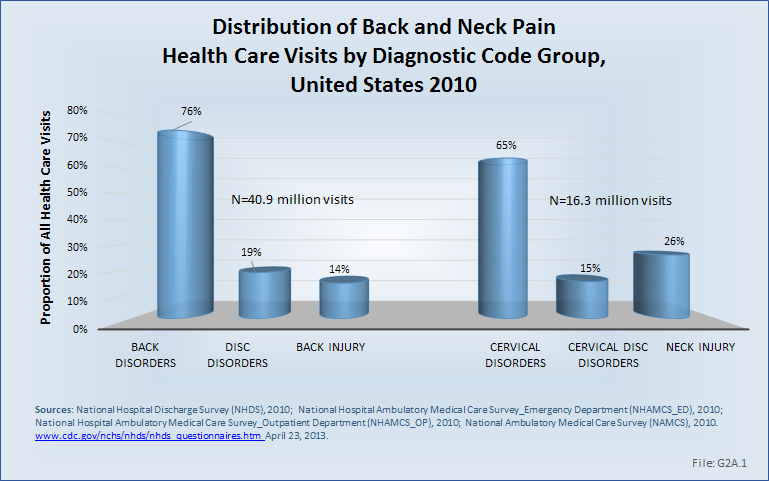 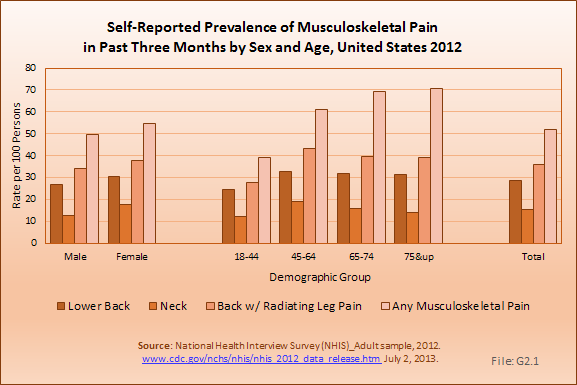 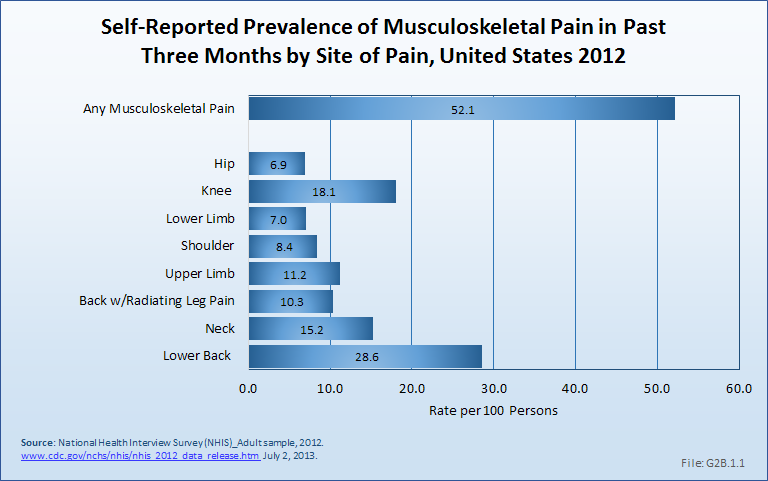 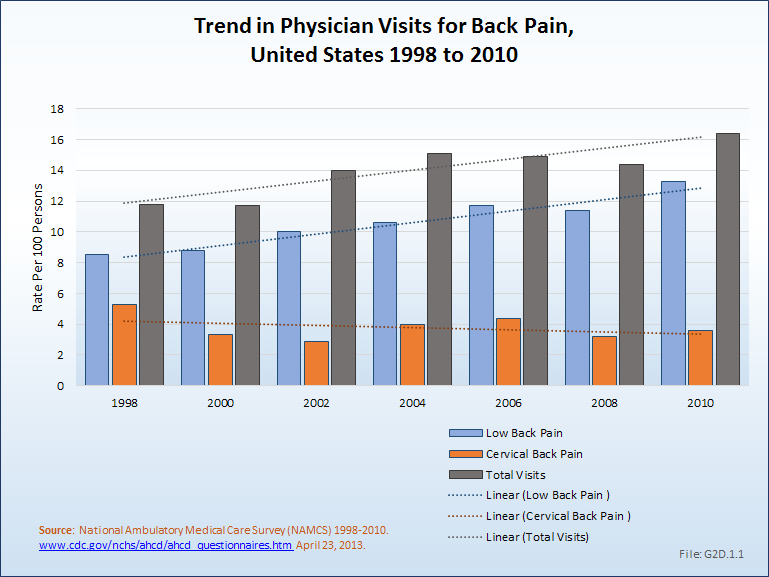 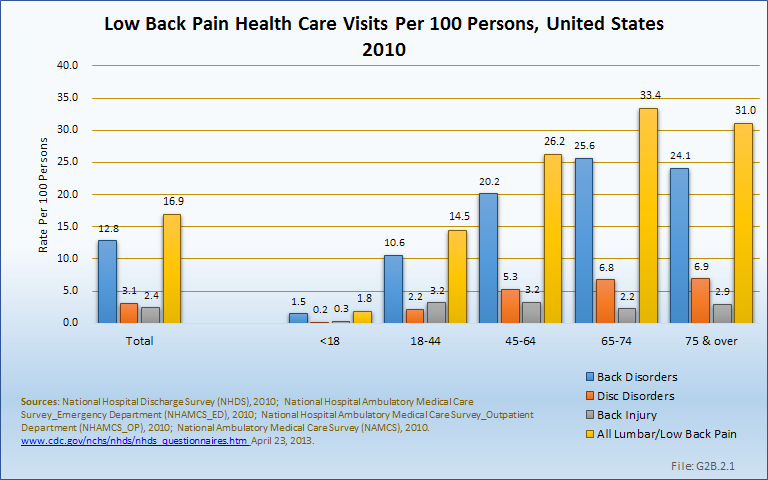 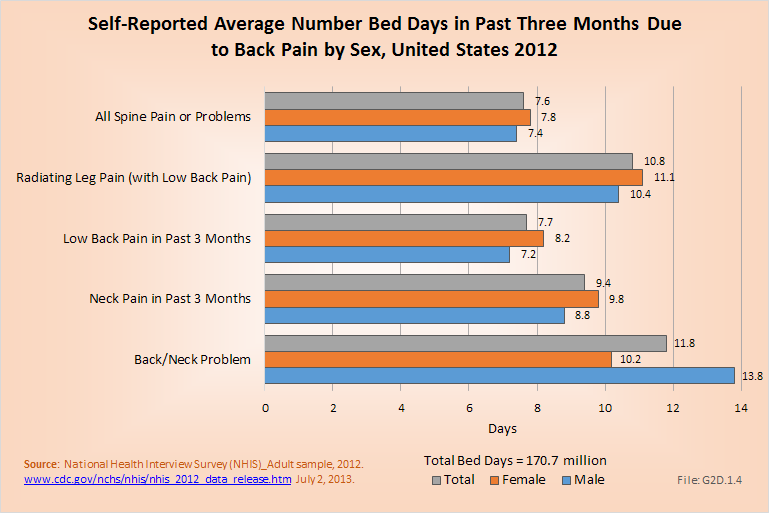 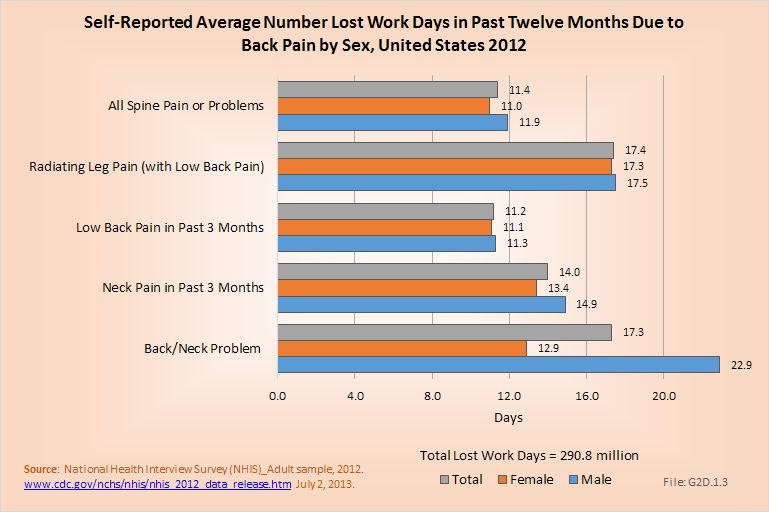 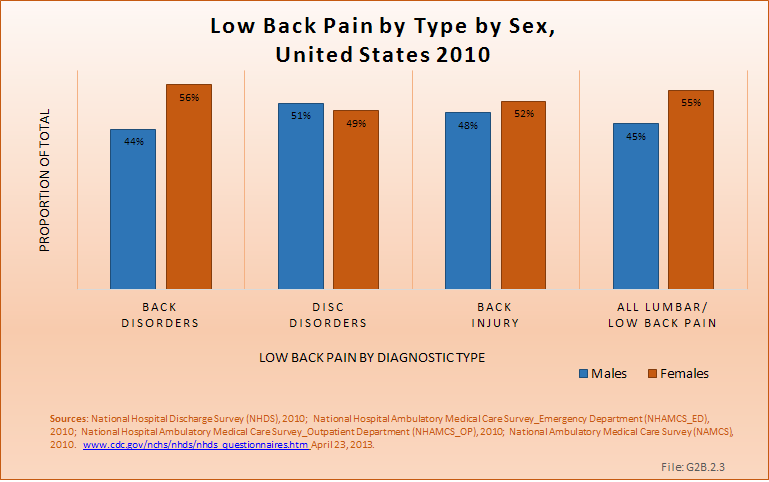 As the population continues to age, back pain becomes an increasing larger burden on the health care system.